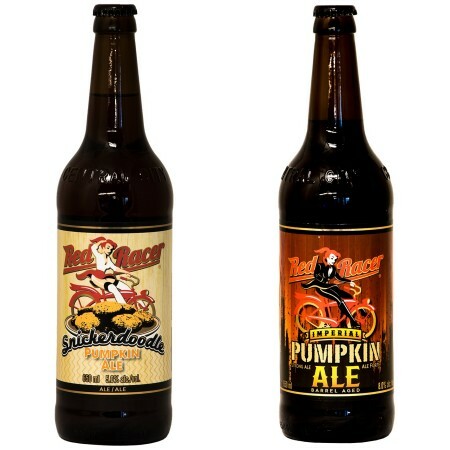 SURREY, BC – Central City Brewers + Distillers has announced details of two new seasonal pumpkin ales that are about to hit the shelves in time for autumn. This new take on the classic pumpkin ale is inspired by the popular pumpkin cookie. The Snickerdoodle Pumpkin Ale brings together all the things we love about fall and pours them together in a single glass. The recipe for the new Red Racer autumn classic infuses real pumpkin and traditional fall spices with a light creaminess from added lactose. Snickerdoodle Pumpkin Ale will be available in 650 ml bottles in British Columbia, Alberta, Manitoba, and New Brunswick, as well as on draught in BC. Red Racer Barrel Aged Imperial Pumpkin Ale (8% abv) is a stronger take on the style that has been aged in bourbon barrels. In BC, it will be available exclusively at Central City’s Beatty Street brewpub and Surrey brewery, while Ontario will receive a shipment of 650 ml bottles.